Foods affect the human Microbiome by supplying and allowing either healthy organisms or unhealthy organisms. 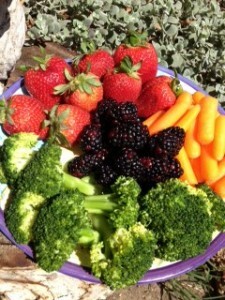 “Let food by thy medicine and medicine be thy food.” the very famous quote by Hippocrates that is about 2,500 years old. They didn’t have the word “Microbiome” then, but Hippocrates clearly saw how foods affect the overall health of a person because foods affect the human Microbiome. And today, that is still true. In fact, even through this 2,500 years and the development of Western Medicine, now modern research is reaching the same conclusion that doctors from thousands of years ago knew; and that is – your body needs to be treated as a whole, because it is 1 organism. That really is the bottom line when it comes to all the research on the Microbiome. Another saying you have heard is, “You are what you eat.” This is because the foods that we eat get broken down by organisms, bacteria and fungi mostly, into substances that are the fuel for all of our cells. Natural foods- vegetables, fruit, grains, beans, ( And yes, even animal proteins. ), are composed of carbohydrates, proteins, and fats, that our body’s easily metabolize and are able to use (But not cow’s milk and the products made with cow’s milk.). If your diet consists of foods supplied by nature, and mostly unprocessed plants, your Microbiome is most likely dominant with healthy bacteria and fungi, as natural foods support these organisms. In the last 10 years, a number of research studies have been able to decipher the different types of bacteria that live within the intestinal tract. Across the board these studies show differences in organisms that live in people with digestive problems compared to people who do not have digestive problems. Which makes sense since the environment in the intestines of people with digestive problems will be different and house different types of organisms than people who do not have digestive problems. Now also as a result of recent research there is a clear picture of how intestinal health effects liver health. I tell my patients that their intestinal tract is like a compost bin. 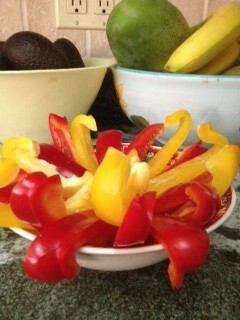 You start by putting foods into it and then one day you see there are some little bugs crawling around. Then a few weeks later you see those bugs and some new ones. And then one week you notice earth worms. Yet, you never put earth worms into the compost bin. How did they get there? They got there because the environment allowed it. Our intestinal tract is the same way. Our intestinal tract, the large intestines specifically, is the organ that is the dumpster, it carries the waste products out of our body. So, it makes sense that there will be bacteria there. What matters is what types of bacteria are there. And since this is the depository from the foods you ate, of course what foods you ate makes All the difference to what that waste is. The Standard American Diet, SAD, is thee cause of our health crisis today, it actually started several decades ago. And regardless, instead of changing the SAD and becoming a healthier country, right now in 2017, the U.S has not reached that turning point yet of making changes to not keep making these same health mistakes. American’s have steadily increased their consumption of sugar, processed foods, animal protein and fat. The SAD has also been the cause of digestive disorders for millions of people, as numerous studies have proved that the SAD allows unhealthy, pathogenic organisms to thrive in the intestinal tract. These studies are proof that foods affect the human Microbiome. Products found in processed foods, emulsifiers specifically, have been shown to alter the intestinal environment causing inflammation in the intestines of mice. The mice were given small amounts of 2 commonly used emulsifiers. Chronic inflammation ensued which then changed which types of bacteria were living in the intestines of the mice. As a result of these changes, the mice became obese and had metabolic syndrome. The authors concluded, “These results support the emerging concept that perturbed host-microbiota interactions resulting in low-grade inflammation can promote adiposity and its associated metabolic effects. Moreover, they suggest that the broad use of emulsifying agents might be contributing to an increased societal incidence of obesity/metabolic syndrome and other chronic inflammatory diseases.”2 Foods clearly impacted the Microbiome of mice, and foods affect the human Microbiome too. Raw unprocessed foods provide our body’s with a variety of bacteria because the phytonutrients in those plants are nutrients that those bacteria also want. So, that is one of the ways we get diverse and mostly health promoting bacteria. The raw and unprocessed foods affect the human Microbiome in the positive way we need. When food gets processed, of course all the types of bacteria get eliminated and we do not get any from that processed food. It’s just like anti-biotics, which go into our body’s and wipe out numerous types of bacteria, even the healthy ones we are supposed to have because anti-biotics, like food processing, is non-discriminating. 3 Suez, J., Korem, T., Zilberman-Schapira, G., et al… 2015 April 1. Non-caloric artificial sweeteners and the microbiome: findings and challenges. Gut Microbes, 6(2):149-155. I feel great! You can feel great! And you can too! Full Body 30 Day Vegan Cleanse, which is based off my lifestyle, and how I have helped my patients for over 20 years, is why I feel great – all the time! 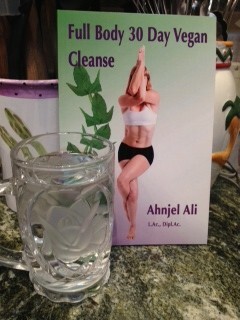 You can feel great on Full Body 30 Day Vegan Cleanse just like everybody else who has done this cleanse already. You can feel great, and you will understand why most of the people who have done Full Body 30 Day Vegan Cleanse have repeated it several times. It is the combination of the herbal formulas and the foods that make this so effective. 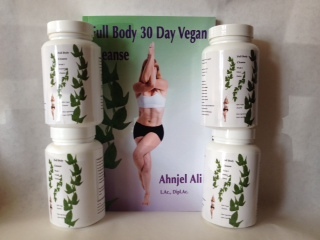 Full Body 30 Day Vegan Cleanse can help you lose weight and reset your body. It is highly recognized that the Ancient Asian Cultures revered good health and treasured their older population. It was always a priority to nurture the human body and keep it vital as people aged. This was accomplished through their knowledge of herbal medicine and use of foods. This is Ancient wisdom that can, and by some of us, be used today to help people feel great! I feel great because this Ancient wisdom is part of my life daily. I became an Acupuncturist/Herbalist because I wanted to help people with their health naturally. I wanted people to be healthy and enjoy their lives! Ancient wisdom from early medical systems was powerful and still valid for our bodies today. It is truly wonderful to be able to help all the people I help through the use of herbs and food. 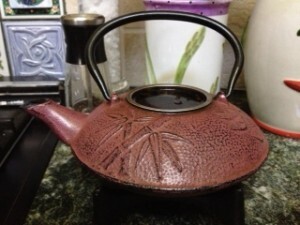 Herbs can dramatically change health conditions, a wide array of health problems. There is lots of research proving great changes from herbs. I Want You to Feel Great! Really! I sincerely want you to feel great! That is why I created Full Body 30 Day Vegan Cleanse. 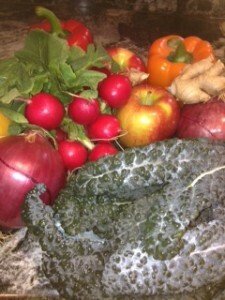 I feel great from eating this very healthy and still yummy diet/lifestyle and taking herbs. I helped many patients to feel great in this same way. I talk to them about their diet and how to make changes and then give them herbs. My patients were feeling great and repeatedly told me I should write it down for others. The result is Full Body 30 Day Vegan Cleanse so that you can feel great! You can learn healthy eating habits. You may be wondering why you should do a 30 day vegan Cleanse. There are actually many reasons to embark on this life-changing adventure! 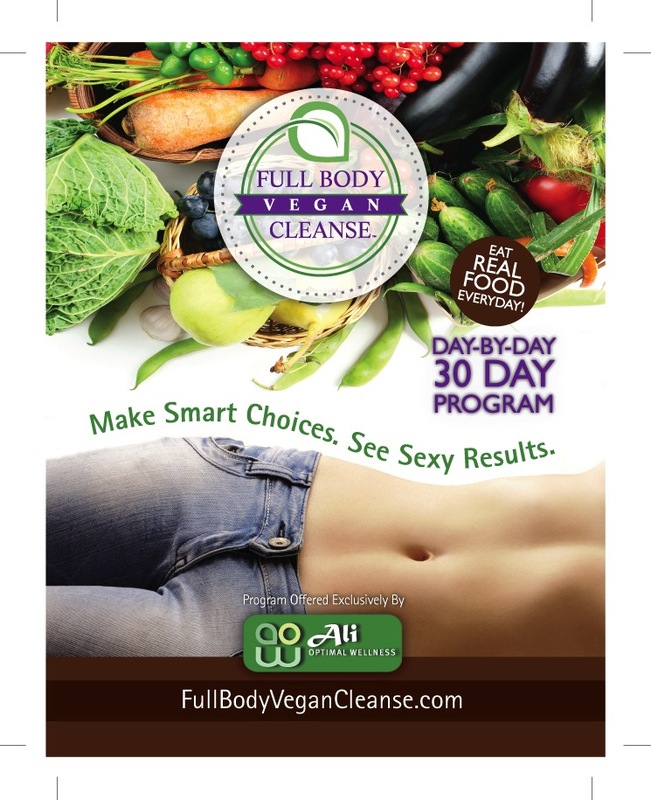 I designed this Full Body 30 Day Vegan Cleanse because I sincerely want your body to get into a very healthy state. Being healthy is not a fast 2 day or even 7 day change in your lifestyle. To truly bring your body into a healthy state takes a lifestyle that is a health promoting lifestyle on a consistent basis. 30 days is consistent enough that you will feel a dramatic difference. I want you to feel that dramatic difference and think to yourself, “I never want to feel like crud again!” And that is why this cleanse was designed as a 30 Day Vegan Cleanse. You will feel great while doing this Full Body 30 Day Vegan Cleanse because over this 30 days, your body will have those days of eating foods that your body needs. Yes, there are numerous 2 day cleanses available to do, but where is the real value for you? Where is the real value for your health? Where is the real value for your family’s health? Where is the real value once you have completed a 2-day cleanse that really only has you starving yourself until you drink a shake 1-2 times/day? What have you learned? Nothing! This is why you should do Full Body 30 Day Vegan Cleanse! By doing Full Body 30 Day Vegan Cleanse you will be preparing your foods. You will be packing up the healthiest of lunches to go with you for the day. You will be coming home and nurturing your body with foods that will give to your body everything it needs after a long day. Full Body 30 Day Vegan Cleanse will have you coming home to dinners will also be the perfect foods to give your body all the nutrients it needs to have a restful nights sleep. Because all the foods are only helpful for your body and brain. 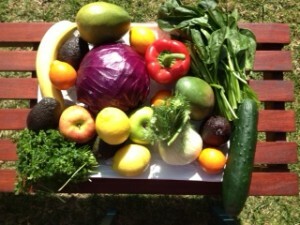 This already are great reasons why you should do Full Body 30 Day Vegan Cleanse! As you go through this process, you learn. You the have the knowledge, experience and ability to stay healthy for the rest of your life. That is where there is tremendous value for you, And for your family. I sincerely hope that when you have completed Full Body 30 Day Vegan Cleanse, that you will continue to eat very healthfully. As I know, and you can see on my website, Full Body 30 Day Vegan Cleanse, many of the people who have taken this Cleanse, have kept these foods in their regular diet. I sincerely hope that after you do Full Body 30 Day Vegan Cleanse, it is only the beginning of a healthy lifestyle for yourself and your family.